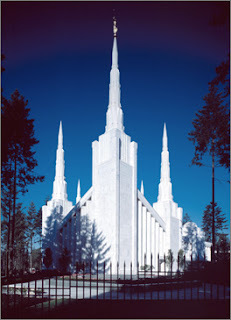 Brandon and I were married in the Portland Temple. It's amazing to think how far we've come and all that we've been through. I love Brandon more every day and realize more and more what an amazing man I married. I have NEVER met anyone more self motivated and determined than this man. He will NOT give up on anything, and when he puts his mind to something it gets done. He does little things to make me happy all the time, and works hard to provide for our family. I appreciate that so much and am grateful that he honors his priesthood. He is a great husband and my best friend. P.S. 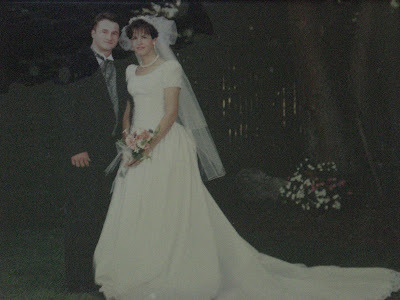 The wedding picture is not great because it has water damage and cannot be removed from the glass, so instead of scanning it, I just took a picture of it. Also, this is the song we danced to at our reception.